Our customers come to us for inspiration for creating their own unique private label interior range or they provide their own idea – an idea that we ensure will be further developed, designed, manufactured, packed and delivered according to the customer’s requirements and wishes in terms of e.g. quality and environment. 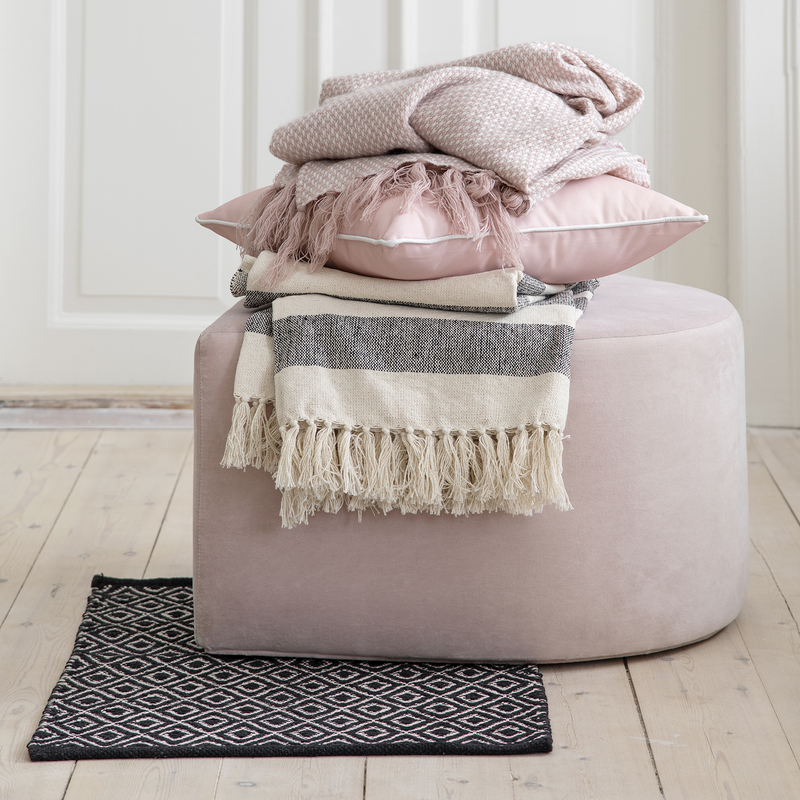 We love interior decoration products, #we_create_hygge is our statement (the Danish concept “hygge” roughly translates to “cosiness”). All employees are passionate about design and development of products within this category. Out of pure and natural curiosity about trends and product developments and in a close dialogue with our production units, we constantly update our showrooms with vibrant, eye-catching items for private label ranges. A large number of these products will become either promotion or permanent range items in our customers’ stores all over Europe. Products that contribute to profiling each customer’s private label brands. Journeys, fairs and leading trend spotters keep us updated on the latest news within interior decoration. We capture the essence and introduce you to the main tendencies constituting the basis of a modern and complete concept. After having drawn up the overall frame in co-operation with you we choose, develop and fine-tune the products for the concept. We also take care of labels, packaging and displays. With our own factory and carefully chosen factories around the world meeting our demands for quality and product safety, we offer flexible concept solutions from initial idea to delivery of finished goods. Interior accessories create atmosphere. Colours, shapes and surfaces create atmosphere. The right combination will result in a synergy speaking its own language. We call it ADDED VALUE. With DK interior each customer will have unique and customized solutions taking all individual needs and requirements into consideration. Løgum Kloster Lys is the embodiment of genuine craftsmanship combined with high quality raw materials. Our product quality is constantly tested and documented and meets the highest standards. This results in candles that burn and look terrific. 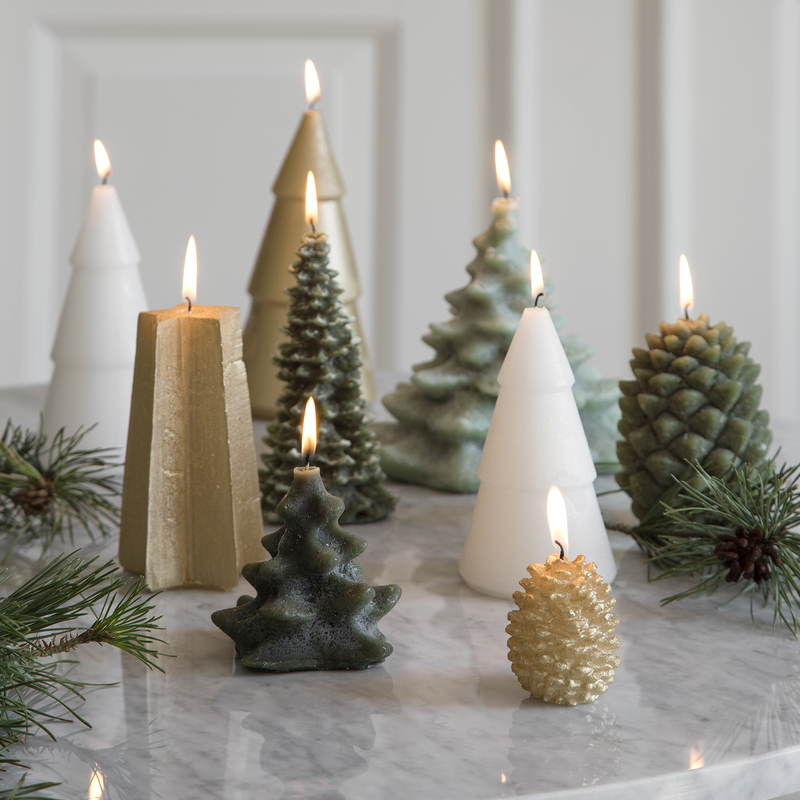 The wealth of knowledge and artisanal know-how in the family-owned company gained through many years of experience is the alpha and omega when developing, choosing and tailoring the selection of candles for your concept solution. 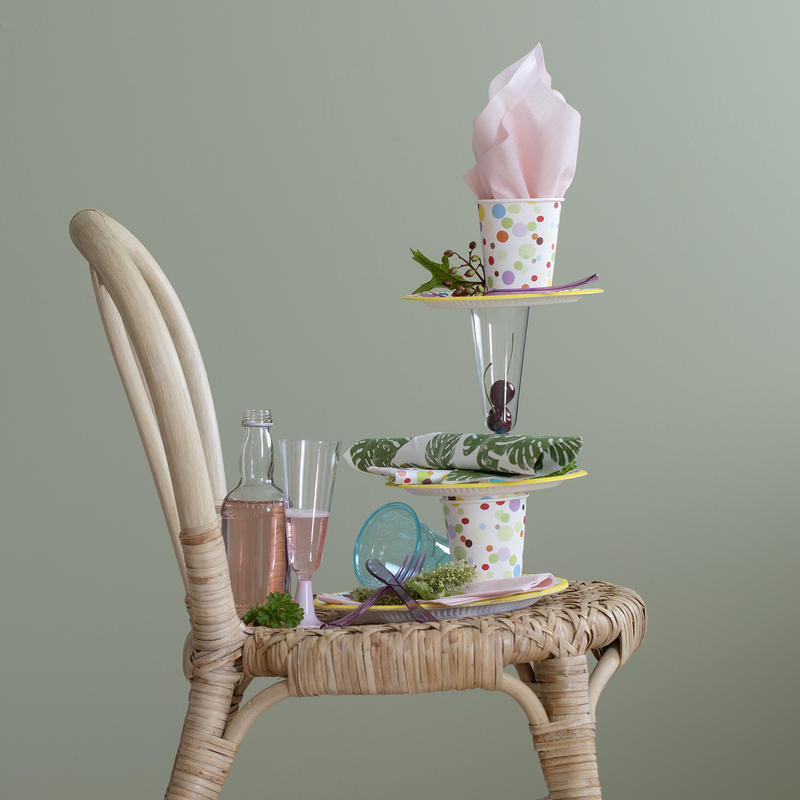 Together we ensure a perfect tailored product range that will not only impress and surprise but also stand out. Behind Løgum Kloster Lys is the Andersen family. Four siblings today continue the adventure that took its beginning in 1970 in the family kitchen – an adventure initiated by their father, the inventive Mr. Jens Andersen. All raw materials are delivered including quality certificate. 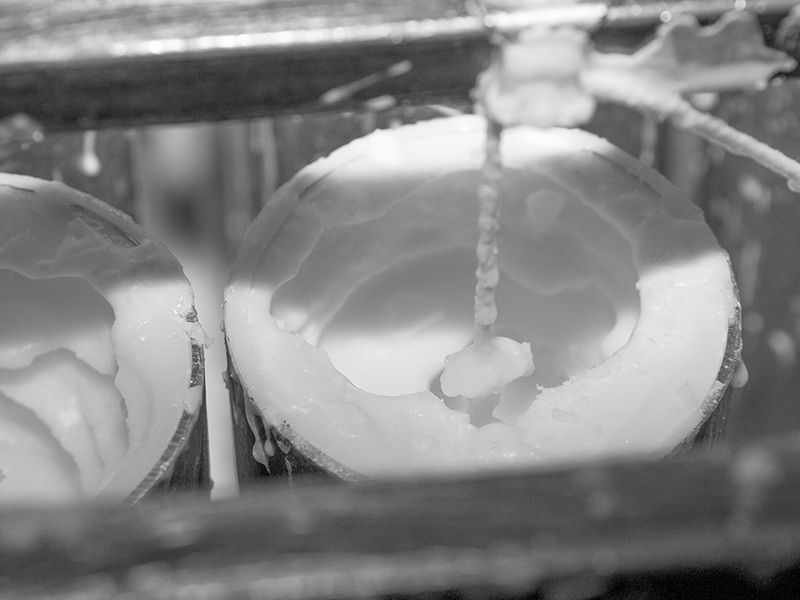 The on-site testing laboratory ensures a constant control of the finished products. 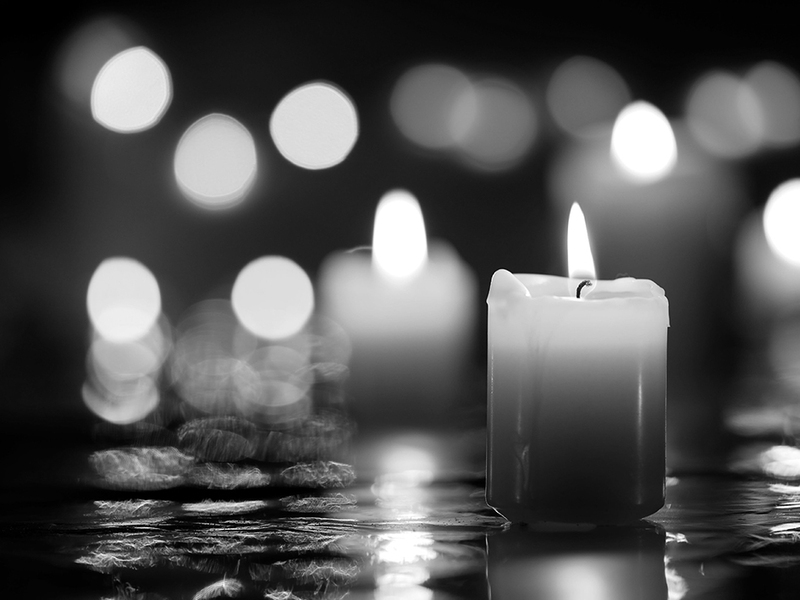 With concise and to-the-point product information combined with good advice about the use of candles, you may burn your candles with a clear conscience. 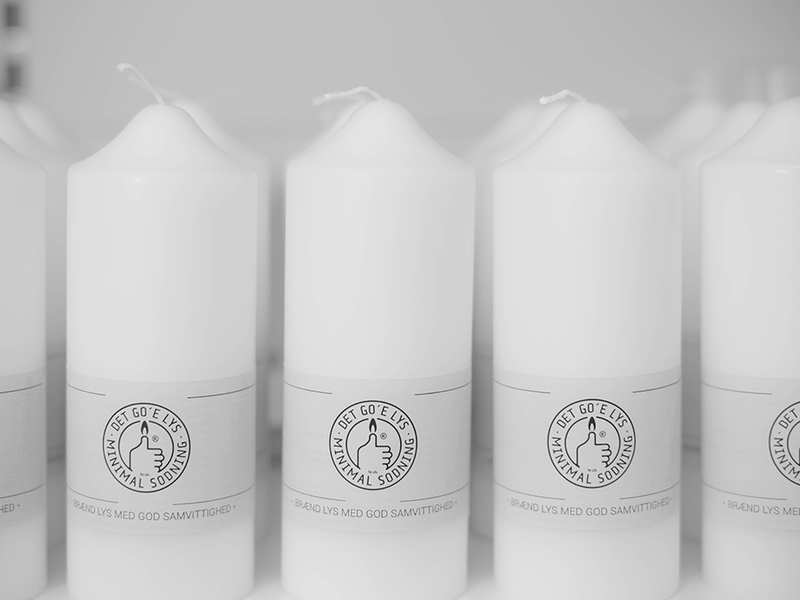 Therefore we have prepared the label “The Good Candle” guiding the consumer to make a safe choice. The Good Candle is your guarantee of good burning qualities and minimum sooting. Only the purest raw materials from the best suppliers are accepted and the quality is documented throughout the production chain. By testing each production it is clearly documented that The Good Candle has a far lower soot index than the limits determined by the EU. 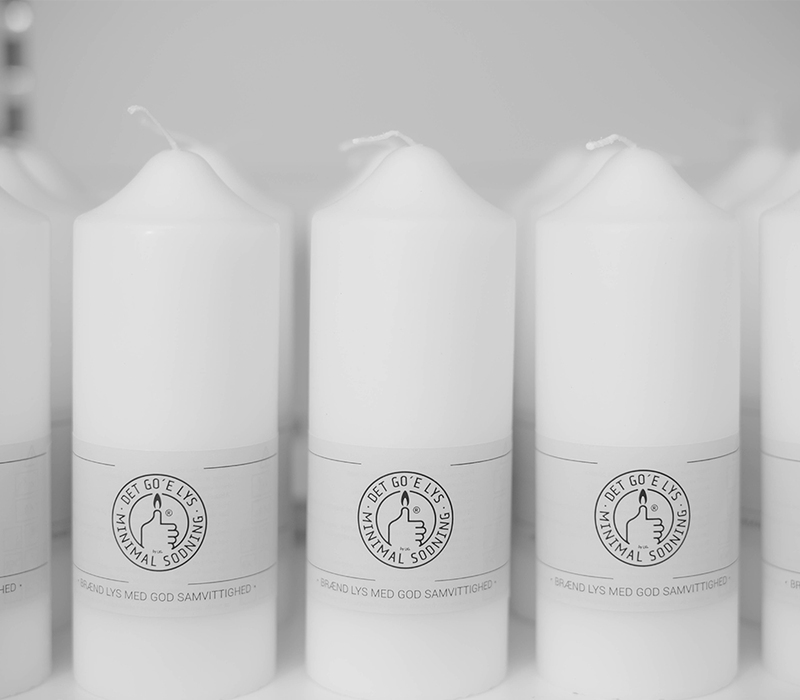 The Good Candle is made from fully refined paraffin wax. This ensures the highest purity and the lowest sooting. 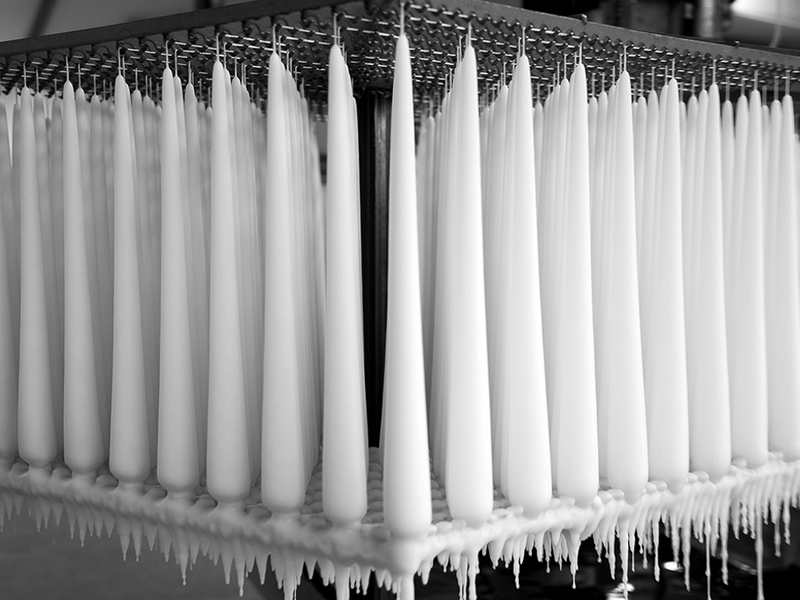 Each production is tested and the result will appear from the sooting indicator printed on the candle label. The wick is carefully chosen to perfectly match the dimensions of the candle. 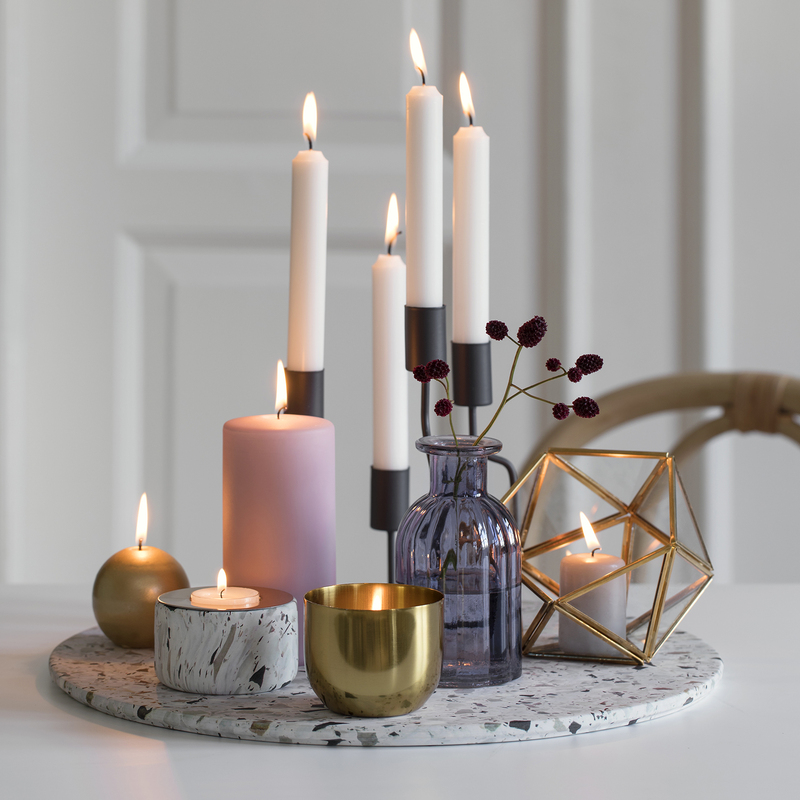 The texture and braid technique of the wick made from 100% Oeko-tex cotton ensures that the candles burn with a beautiful flame and the lowest possible wax consumption per hour.